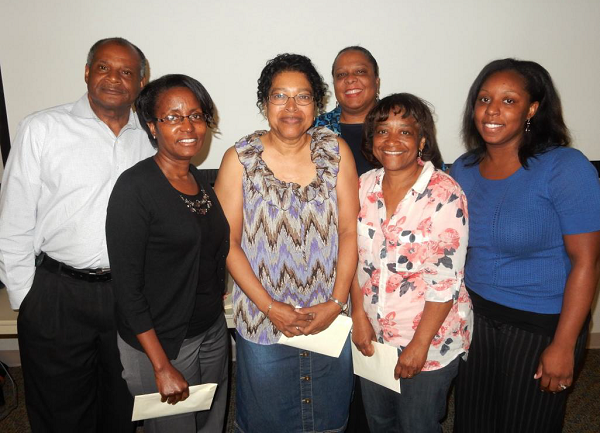 The historical background of CCMBA finds it roots with The Concerned Black Women of Calvert County, Inc. and Calvert County’s Branch of the NAACP. The Concerned Black Women of Calvert County, Inc. and the NAACP of Calvert County both sponsored committees that addressed minority business development in Calvert County. The NAACP’s Economic Development committee helped to establish a minority business group in the 1980’s. In 2004,CBW, Inc. chartered a special Business Directory committee that eventually evolved into CBW,s Minority Business Committee – a standing committee of the organization. Out of CBW’s business directory committee, the Inaugural Calvert County Minority Business Directory was completed for 2005-2006. In June 2006, CBW and the Calvert County Department of Economic Development hosted a kickoff planning meeting for the development of a Calvert County Minority Business Organization. All businesses were encouraged to attend to help develop an independent organization whose focus is to support minority business owners living in Calvert County and the southern Maryland region. In January 2007 with the dedication of committed business owners who met and planned for six months, the Calvert County Minority Business Alliance started. CCMBA’s goal is to establish policies and programs to support not only the business growth of minority businesses in Calvert County, Southern Maryland, and the state of Maryland, but all businesses. Membership is open to all – please see the membership section for more information on how to become a member. Please note that the state of Maryland defines a minority business as a business that is at least 5l % owned and controlled by one or more minority persons. A minority is generally defined as an individual who is African American, Hispanic American, Asian American, Native American, a Woman or a Disabled person. Additionally, the State also recognizes non-profit firms that are organized to promote the interests of the physically or mentally disabled.